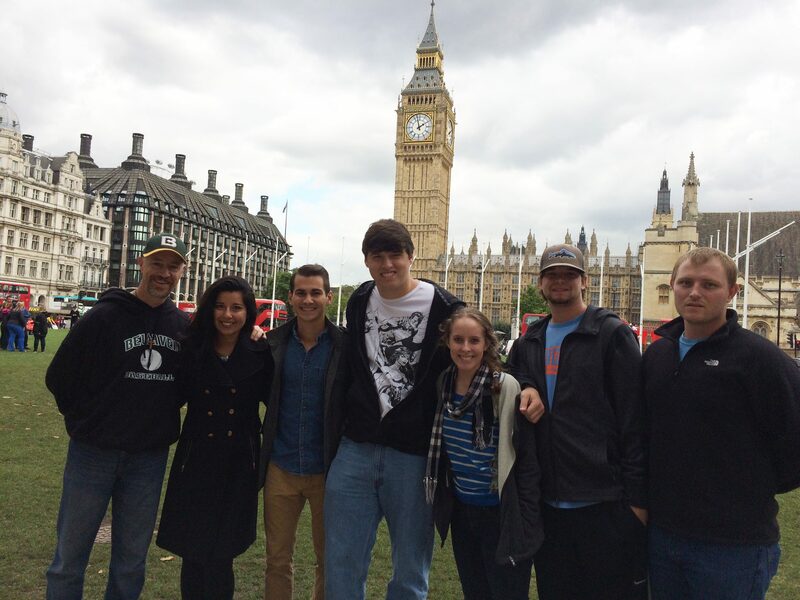 Sports Administration students from Belhaven University recently had a chance to see the inner workings of major sports – in London! Students met with and learned from professional sports leaders across the host city of the last Summer Olympics. They visited Wimbledon, Wembley Stadium, Kingston and Cambridge Universities as well as the offices of NFL Europe and the British Olympic Training Center. Belhaven senior Jonathan Dickson, a member of the Blazers’ men’s soccer team, called the trip the highlight of his time at Belhaven. 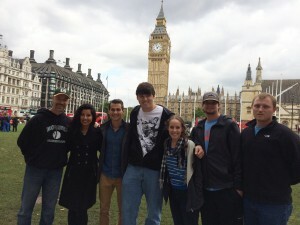 The trip was the first of its kind through the International Site Observation course taught by Dr. Ed Garrett, Assistant Professor of Sports Administration. 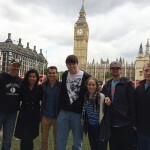 “It is because of Belhaven’s support for this trip that these student’s now have a greater understanding of a Christian Worldview because of their time in London,” said Garrett. 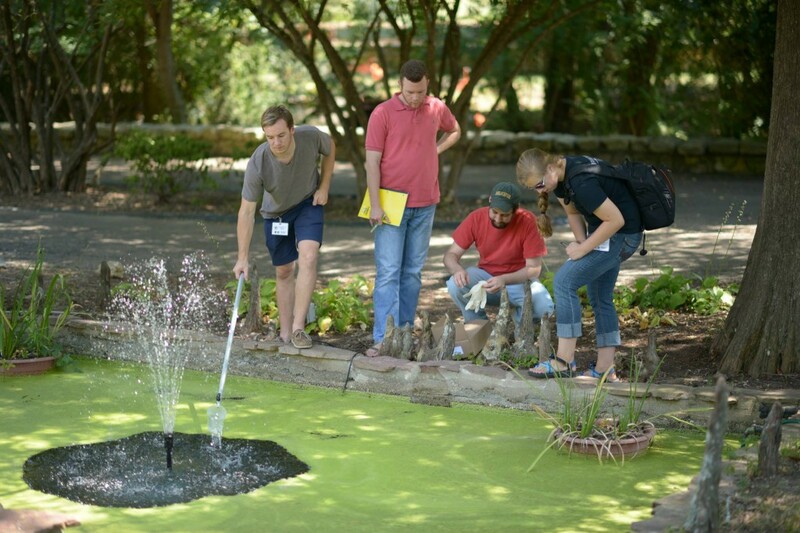 The course is expected to run every other year, allowing every sports administration student the opportunity to take the International Site Observation course before they graduate. Earlier this semester, Belhaven University announced a year-long partnership with the Jackson Zoo that would allow 300 students in the science program to collect and analyze data vital to the zoo’s conservation efforts and future improvements. As of now, Belhaven students have completed a third of the initial project. Over 100 students from four classes across the Division of Natural Sciences have been deployed to collect data at the zoo. This data includes GPS mapping coordinates, watershed information, thermal temperature data, invasive species and the beginning of a comprehensive water quality assessment which will ramp up in the spring semester. Students from Chemistry, Biology, Physics, Computer Science and Mathematics are all working on the project. Faculty members are assisting professionals in forming a preliminary report to the Jackson Zoo and its board of trustees in early December. The partnership has greatly benefited the Jackson Zoo and Belhaven. Almost $30,000 in support funding and equipment has been procured, but the greatest impact has been on the students involved.